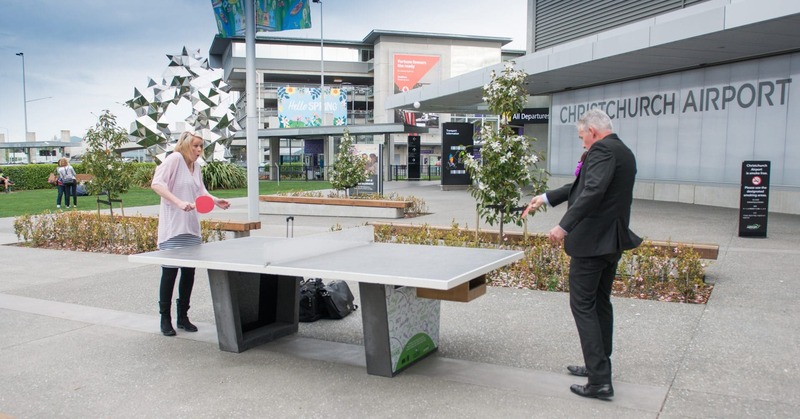 Christchurch Airport has added two outdoor ping pong tables, previously located in the city, to its outdoor plaza. The tables had their first public outing near the Bridge of Remembrance and Re:Start as part of Gap Filler’s Ping Pong project which saw three concrete ping pong tables made available for public use in the Summer and Autumn of 2017. 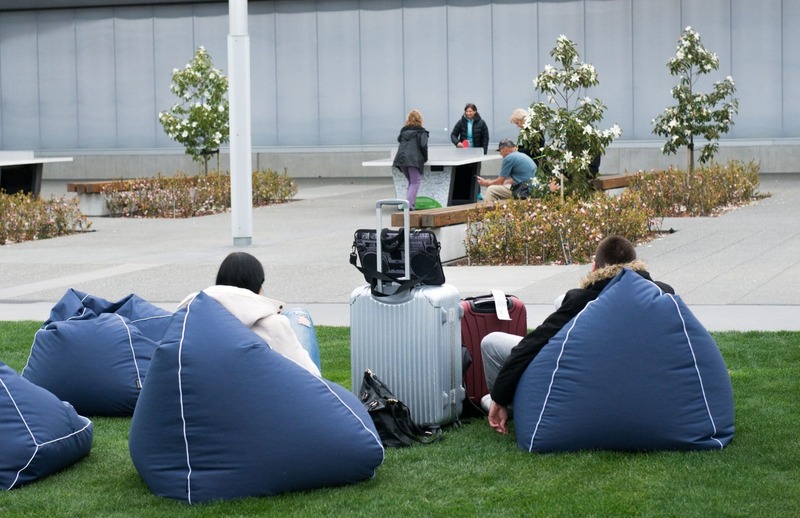 Of the three tables, one was re-located to the Youth Hub (corner of Manchester and Lichfield Streets), with the other two being purchased by the Christchurch International Airport to help liven up its outdoor area and add to its visitor experiences. For the duration of the Ping Pong project in the city, Gap Filler kept a purpose-built shelf under the tables stocked with bats and balls, as well as having a local business (Cosmic Corner and Coffee Therapy) provide sets for borrowing. “Having the bats and balls with the tables was key to them being well-used and it’s great that having the tables somewhere like the airport will allow this to continue,” says Doyle. 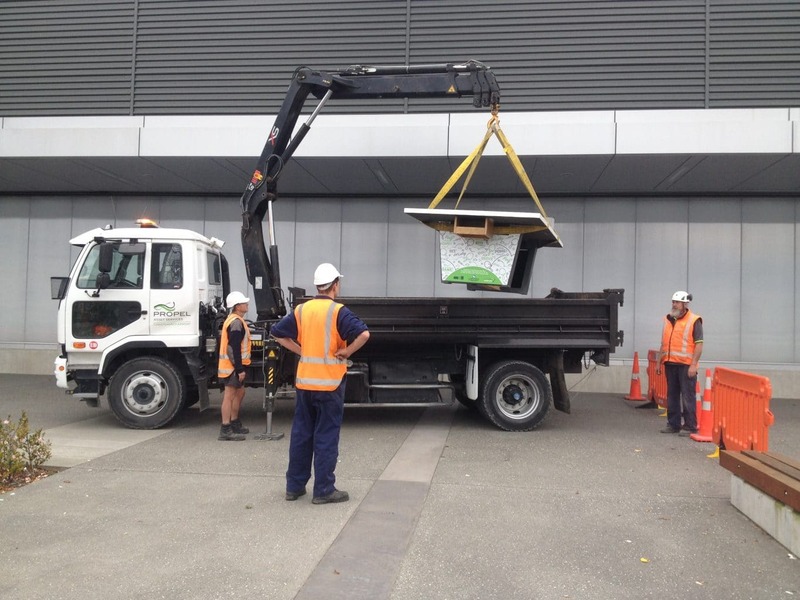 The ping pong tables were installed on Tuesday, 26 September 2017, at the airport and are free to play, 24 hours a day.